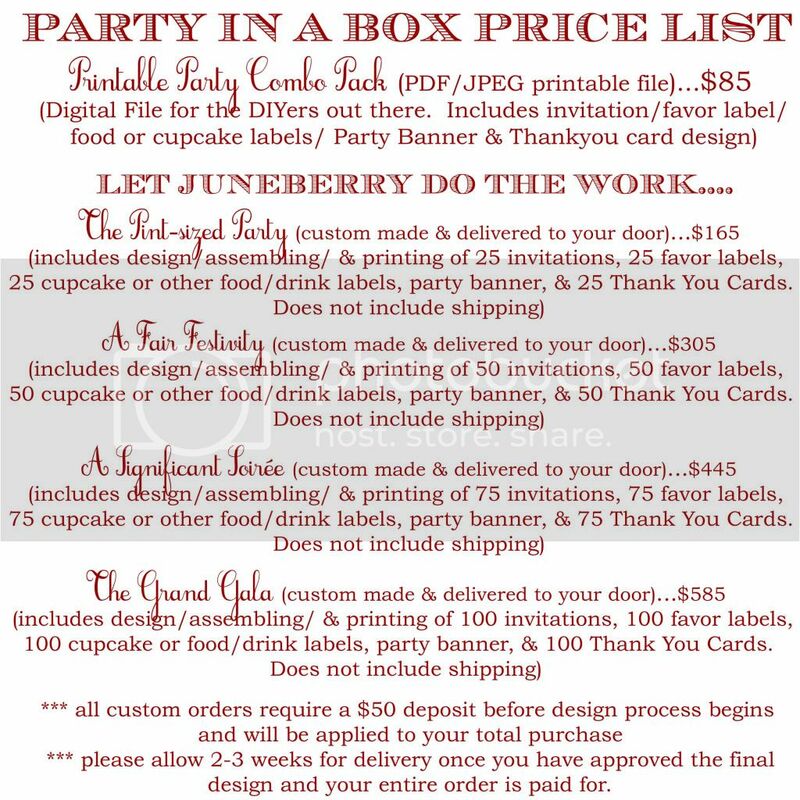 Juneberry Lane: Tutorial Tuesday: Green Gift Series . 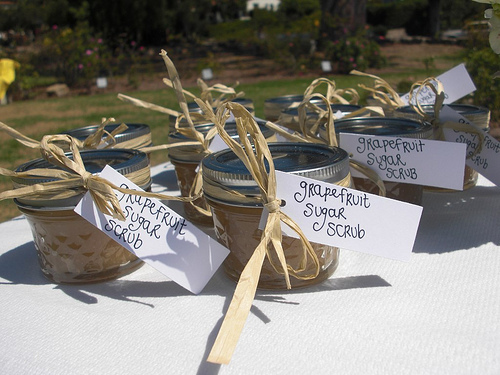 . . Pamper Your Friends with Homemade, Organic Brown Sugar Scrub!! 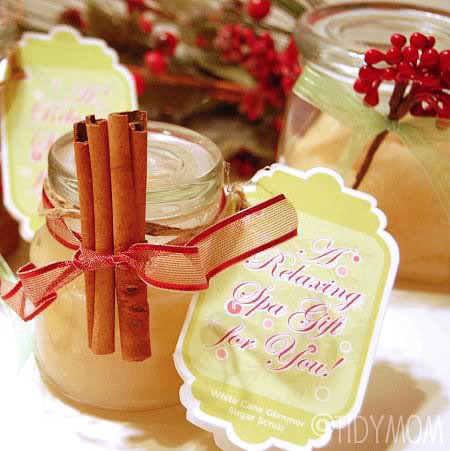 Tutorial Tuesday: Green Gift Series . 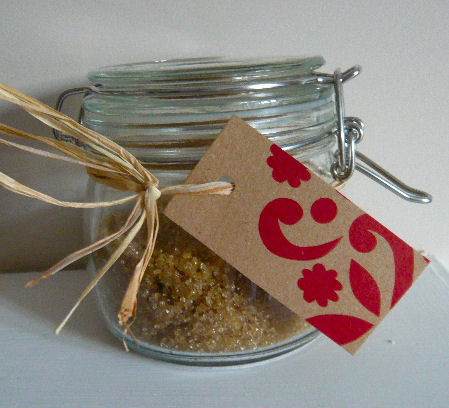 . . Pamper Your Friends with Homemade, Organic Brown Sugar Scrub!! 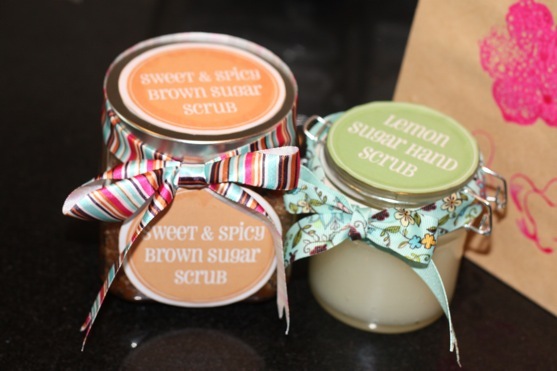 As we move onto part two of our 'Green Gift Series', let's take a step into the spa and pamper those friends of yours who have been working too hard. Whether putting in endless hours at the office, hitting the books at school. or spending long days keeping up a home & children, those ladies in your life need a few moments to themselves to relax, rejuvenate, and get polished & pretty for the holidays! 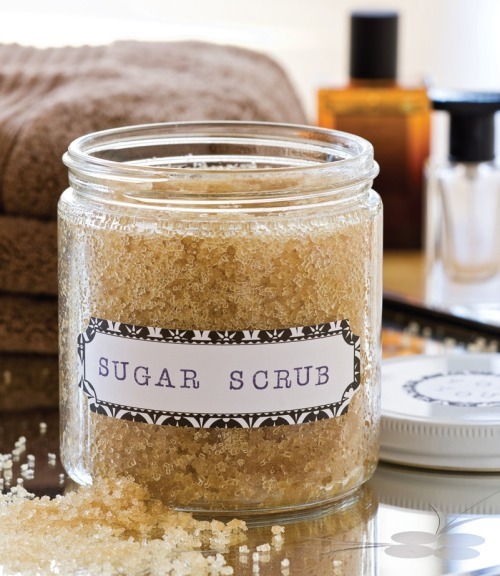 This easy & budget-friendly Organic Brown Sugar Scrub recipe via pauladeen.com is the ideal little gift; thoughtful, sweet, & so simple to make! Take a look . 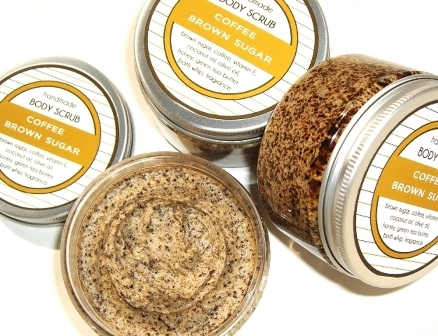 . .
To Use: In the shower, apply Corrie’s Brown Sugar Body Scrub into skin and rinse. Can be used daily. And as usual, a bit to inspire you . 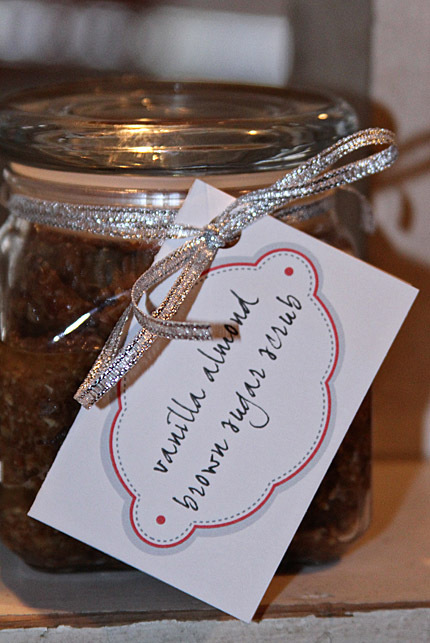 . .
And if you need some cute, custom tags, well you know just where to find them . 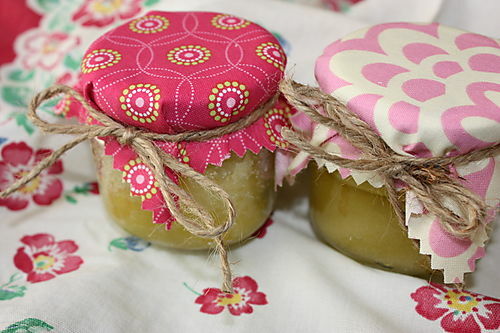 . . in our Juneberry Lane Etsy shop, of course! 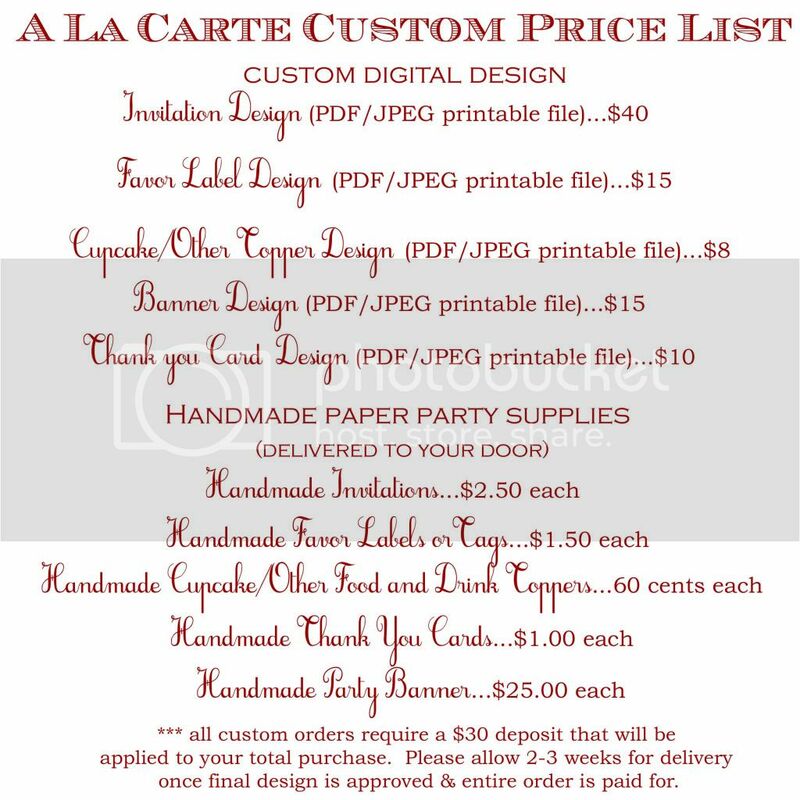 Stop by and have a look, or send me a message if you are looking to have specific gift tags or labels made up and you don't find what you are looking for in the shop! !